Between hurricane Harvey and Irma, states in the US have been truly ravaged by disaster. The effects of destruction have now left long lasting marks on local economies and the performance of markets, among many other things. OPEC, for example, was severely impacted by the hurricanes, as we saw demand pitfall despite continued production and refining. Goldman Sachs stated that both Harvey and Irma will leave a huge dent in the oil market, leading to a global reduction in consumption of oil by 600,000 bpd in September. We asked Finance Monthly’s expert contacts what they made of the situation, and have heard Your Thoughts on the overall impact of hurricanes on oil markets and beyond. Hurricane Harvey was one of the biggest storms to hit the gulf coast in a decade with the total damages now estimated at upwards of $180 billion. 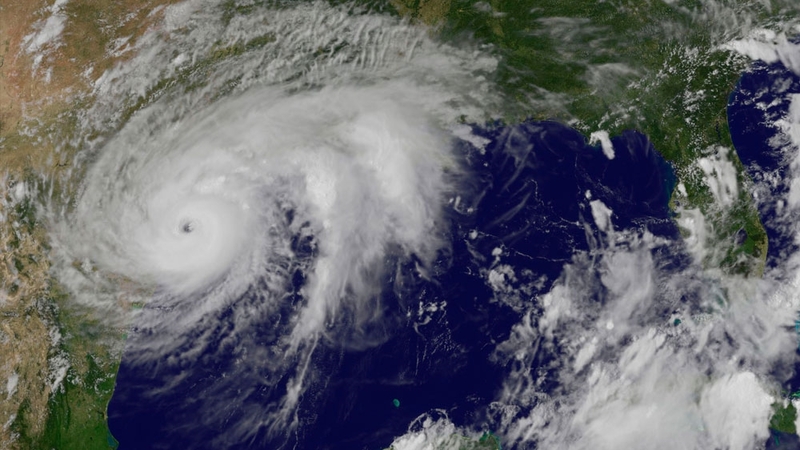 The category four storm made landfall in Texas as it peaked in intensity and now holds the record for the wettest tropical cyclone to hit mainland US states. The significance of its landing is important as Texas and States along the gulf coast are a major refining point of crude oil and are responsible for around 12% of the country’s refining capacity. Before Harvey hit, traders were already nervous, and crude, both Brent and West Texas Intermediate, ground lower until dropping as Harvey made landfall. The major moves were in the markets for distillates especially in the gasoline market which gained over 16% as fears of a fuel shortage spread across the state and surrounding areas. The low of oil was a good buying opportunity for traders as the drop in refining would ultimately lead to higher inventories but the lasting effect of the rise would only be temporary for traders with a moderate outlook. Brent and WTI have both added 3.74% this week and 7.5% since its low last week. The short term effects of Harvey have already been seen in the data with initial jobless claims rising 62,000 in the week to September 2nd totalling 298,000 way above the expected 245,000. The lasting effects of Harvey from the oil industry’s point of view has now largely worn off with pipelines and refineries coming back online earlier this week and business is mostly back to normal. In the same breath, traders will now be focussing on Hurricane Irma which has already devastated most of the Caribbean and is expected to make landfall this Sunday. Florida has less of a significate for oil markets but insurance companies will weigh on US stock markets as the costs from both Harvey and Irma start to mount. The full extent of the losses are yet to be seen but some are expecting the most Harvey-exposed insurers to take an earnings hit of around 25-30%. It’s no surprise that heading into the weekend risk appetite has waned and we can see US markets edging lower on the open. Longer term and away from the storms, the overarching themes in oil markets remain focused on the global supply glut. Russian finance minister Anton Siluanov has said that Russia would benefit from extending its agreement with OPEC to limit global supply and said the benefits would extend to “everyone involved”. Without an extension of the agreement and if the world’s largest oil producers were to have full autonomy on their own output it would likely lead to a huge correction lower in prices. This would be especially true, as the recent higher oil price has allowed shale producers to become more efficient and are now able to operate at a lower breakeven point than before. The markets are breathing a sigh of relief as the trail of devastation left by Hurricane Irma was not quite as bad as was initially feared. Whilst Florida is still receiving a pounding from the now Category one storm, notably Miami managed to dodge the most dangerous part of the storm. So far news of catastrophic damage hasn’t come through, which is a promising sign that the markets are focusing on. As a result of the severe but not catastrophic Hurricane Irma the dollar index enjoyed its biggest 1 day jump in 10 days, gaining 0.5% versus a basket of currencies. Meanwhile the Dow Jones futures surged over 100 points, whilst the S&P 500 futures were also pointing to a positive start for the index. The markets were on edge in the days leading up to the hurricane given the difficulty in assessing the financial impact of natural disasters. However, although the initial assessment is that the impact of the storm is not as bad as first feared, we still expect some evidence of economic damage from this hurricane and hurricane Harvey to feed through to the economy in the form of weaker economic data such as labour market numbers, economic growth and retail sales. Therefore, investors will be paying particular attention to Thursday’s retail sales numbers. Significantly weaker than expected data could weigh heavily on sentiment. The other point to keep in mind is that the economic impact of hurricanes tends to be short lived and often the rebuilding effort offsets the damage the hurricane caused to the economy. Therefore, if economic data is slightly weaker, this should only be a blip rather than the start of a new trend. Federal Reserve Official Dudley confirmed this last week by saying that he didn’t expect the outcome of Hurricane Irma to impact on the monetary policy outlook.